Jeph Loeb and Tim Sale did some Marvel comics with strangely colored heroes: Spider-Man: Blue, Daredevil: Yellow, and Hulk: Grey. 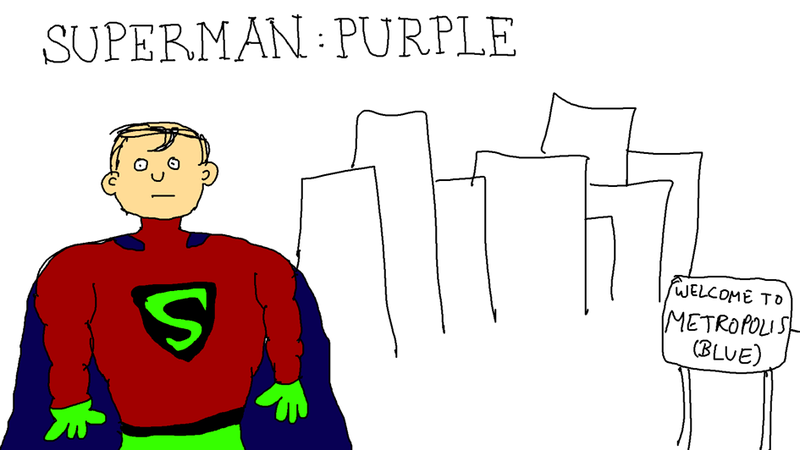 So here's Superman: Purple. But why is Metropolis blue?